The guests walked through under an arch that was covered in a gorgeous whimsical style of flowers trailing down to the sweet Milling Barn. Big beautiful hydrangea’s filled the opening of what was going to be a sensational wedding. Chivari chairs gathered around each table with a centrepiece of a rose gold vase stuffed with late season peonies, dusky pink roses, summer delphiniums and astilbe, with mixed eucalyptus leaves. 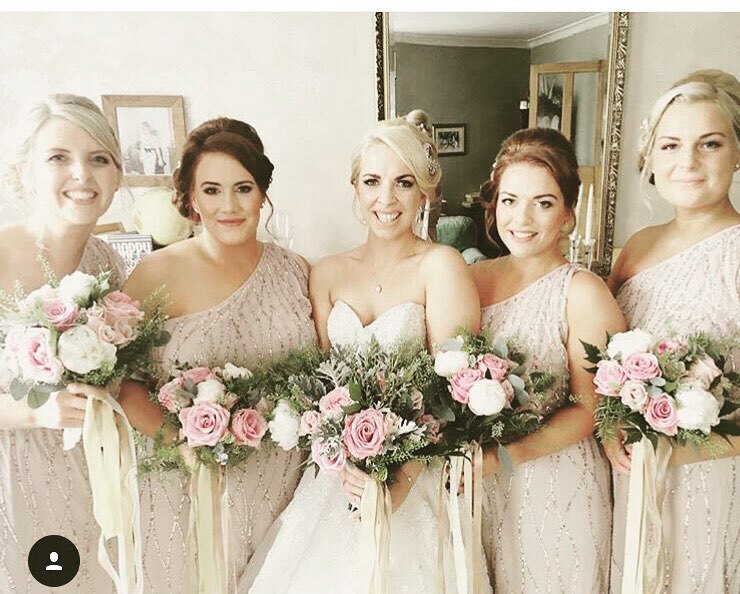 The bride and her bridesmaids carried bouquets of dusky pinks with foilage down the aisle complimenting their sparkly dresses.